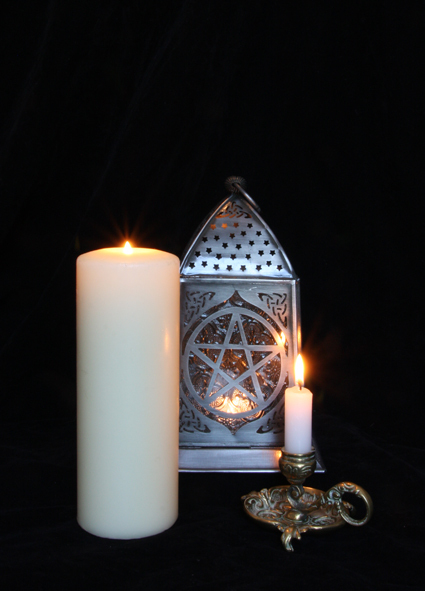 Thanks very much to everyone who helped me pick the cover for my book, Candle Magic: A Witch’s Guide to Candle Spells and Rituals, which is going to be published in the Moon Books Pagan Portals series. I posted up four photos I had taken: a single pillar candle; four candles; a pillar candle, lantern and tea-light; and a pillar candle, lantern and taper candle in an antique holder. Most people seemed to prefer the last one (shown on the right), so that's the one I hope will go on my book. I'm just doing the last bit of proofreading before my manuscript goes to Moon Books for production and I'm very excited about it. It will be several months before it reaches bookshop shelves, but in the meantime I will regularly post on my blog stuff about candle magic, with a few extracts from my book.